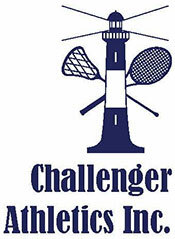 Challenger Athletics’ mission is to establish sport programs for people with both physical and cognitive disabilities. Our objective is to foster, promote and encourage sportsmanship, teamwork and friendship through the sport of lacrosse. While striving for these goals our athletes will develop social skills and increase self-esteem. Finally, it is our intention to increase community awareness and sponsorship for our program and for people with special needs.